Suzuki’s new Celerio is to cost from £7999 and comes well-equipped as standard, with Bluetooth, DAB radio, air conditioning, alloy wheels and six airbags among the standard fit items. Sales for the new car, which is offered in two trim levels, start in February 2015. The top SZ4 trim costs £8999 and adds polished alloy wheels, rear electric windows, body-coloured door mirrors and a chrome grille surround. Annual road tax is free, thanks to the 99g/km 1.0-litre three-cylinder petrol engine, which is the only option from launch. Official fuel economy is 65.7mpg. This will be joined in summer 2015 by a new, more advanced 1.0-litre petrol with official economy of 78.4mpg and lower emissions of 84g/km. An automated manual transmission will be available around the same time. 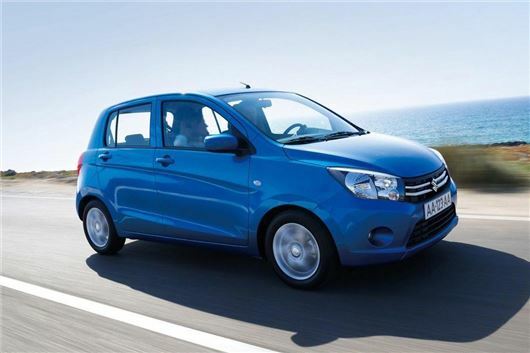 The designers focused on practicality with the Celerio, maximising headroom with a high roof line. Suzuki promises a good level or rear legroom too, despite relatively compact dimensions. Boot space is 254 litres, which is ever-so-slightly ahead of the Volkswagen Up’s 251 litres.